Course will be offered in Singapore, Hong Kong, Manila, Guangzhou (China) and Kuala Lumpur (Malaysia) from March through May 2018. For schedules, fee and registration info, scroll down to the end of this page or go to REGISTER. Alchemy of Horus© is a ground-breaking healing program, fused with the ancient wisdom of the Horus Mystery Schools and the advanced technologies of the Arcturus star system. 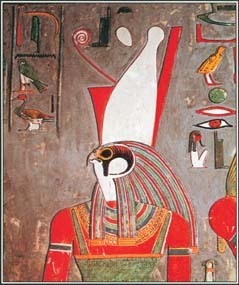 In the ancient Egyptian myth, the falcon-headed god, Horus, symbolised rising to the throne of leadership after triumphing darkness. Believed to be the son of the first Queen of Egypt (Isis), Horus was also the embodiment of the Arcturian star lineage inherited by humankind. This course utilises these metaphorical and energetic representations of Horus to catalyse the remembrance of our soul essence as a warrior of light and ignite our stellar healing abilities. Whilst its intended benefits are multi-fold, Alchemy of Horus© course was designed (under the guidance of the Egyptian deities and the Arcturians) with the primary purpose of tuning-up the human physical body to become an effective vessel for holding and processing a larger and deeper spectrum of light and sound frequencies in materialising a Galactic Age on Earth. Anyone who is keen on learning a healing methodology to enhance health, and facilitate the body in expanding its capability as a medium of multi-dimensional frequencies. This course will also appeal to healers with a special interest in working with the Arcturus star beings and discovering the mysteries in ancient Egyptian healing arts, in particular, in relation to the Horus Mystery Schools. Prior training and experience in alternative healing and therapies is preferred but not mandatory. Disclaimer: As an alternative healing therapy, techniques taught in Alchemy of Horus© course are not meant to replace any existing of your medical treatments and/or medication. Please consult your physician or a qualified medical practitioner if you need to ascertain if this course is suitable for you and your body. This intensive 2-day course will involve teaching, energy attunements, demonstrations of healing techniques, and hands-on practices (time permitting). Each participant will be provided with a printed healing manual and a healing tool unique to the course.